Rick has raised $10,944 since 2011. 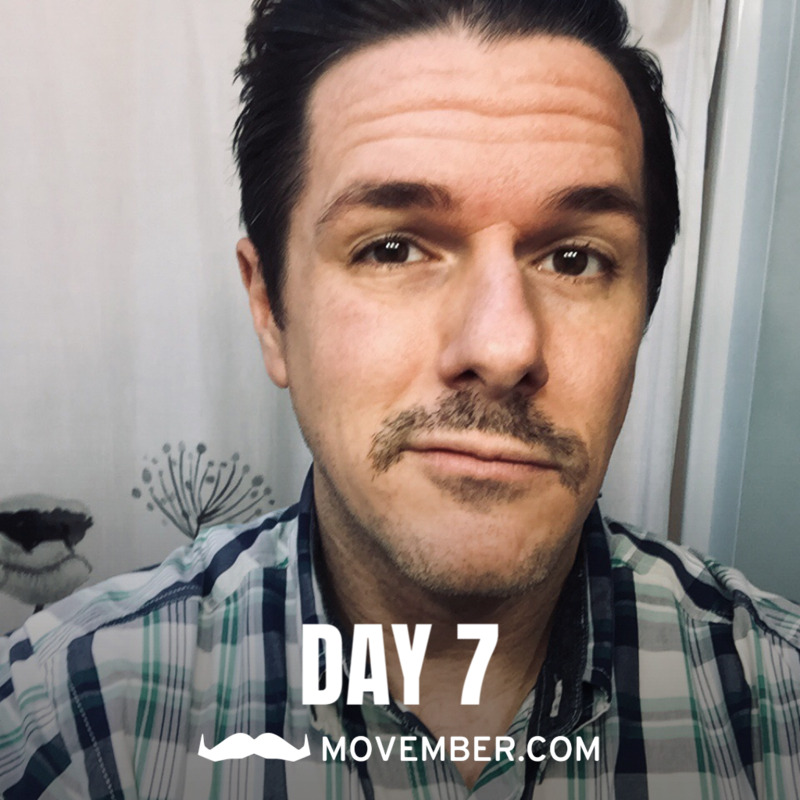 I’m shaving my moustache—which I love and will miss dearly—in solidarity with men losing theirs to chemo.  I’m growing it back—awkwardly, slowly—to spur conversations about men’s health, which men don’t talk enough about. And I’m working out to improve my mental health and raise money for programs that help other men live longer, prevent suicide, and be present in their families and communities. 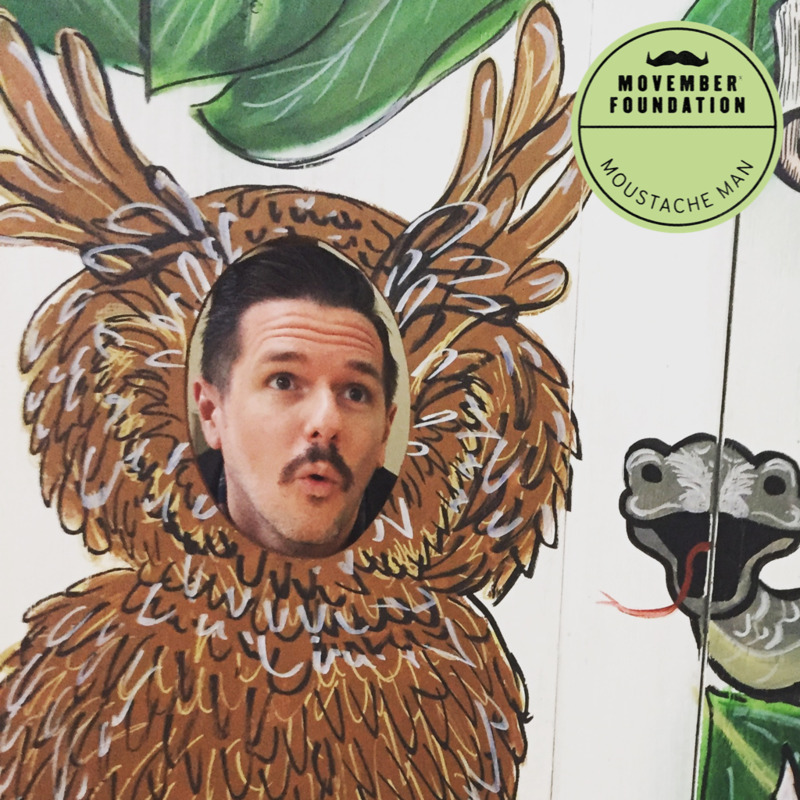 30 days of growing a Movember moustache complete! Do I look any wiser? 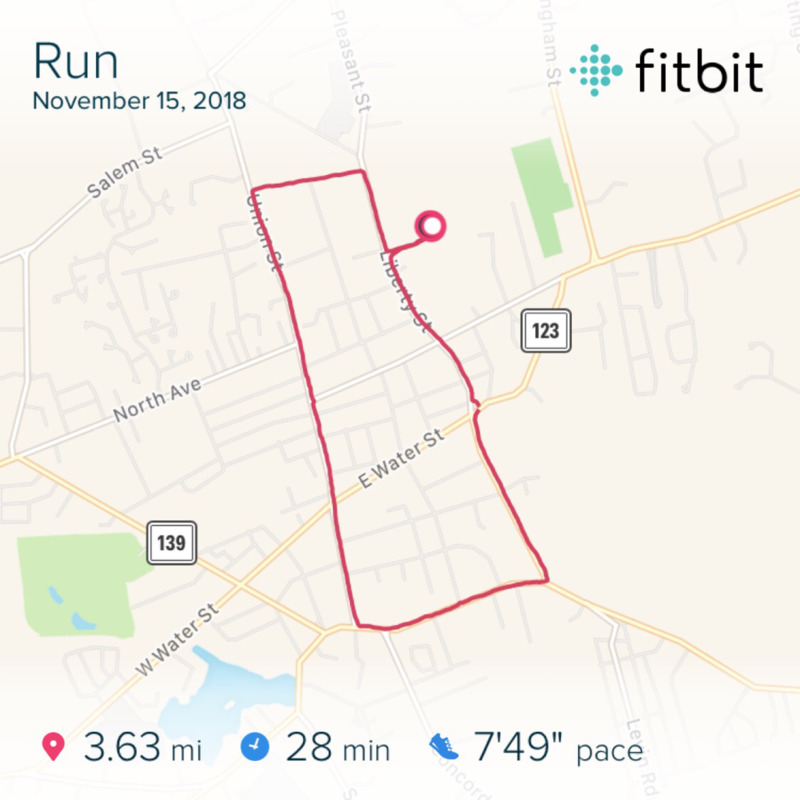 Finishing up a week from hell at work with a run. 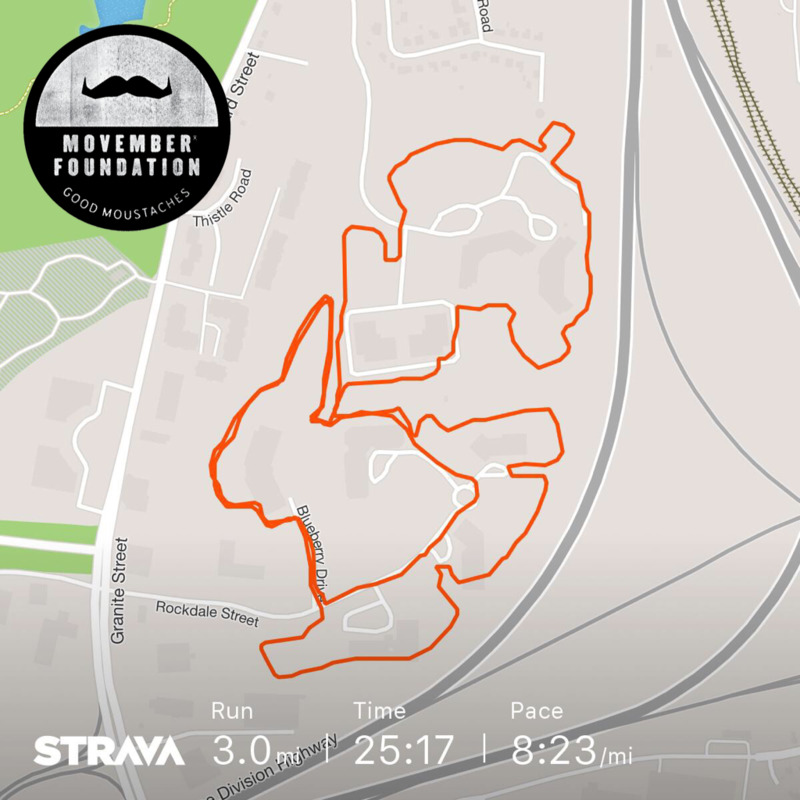 My first below freezing run this winter — good thing this moustache is growing in to keep my face warm. Still way behind on my moves, though! 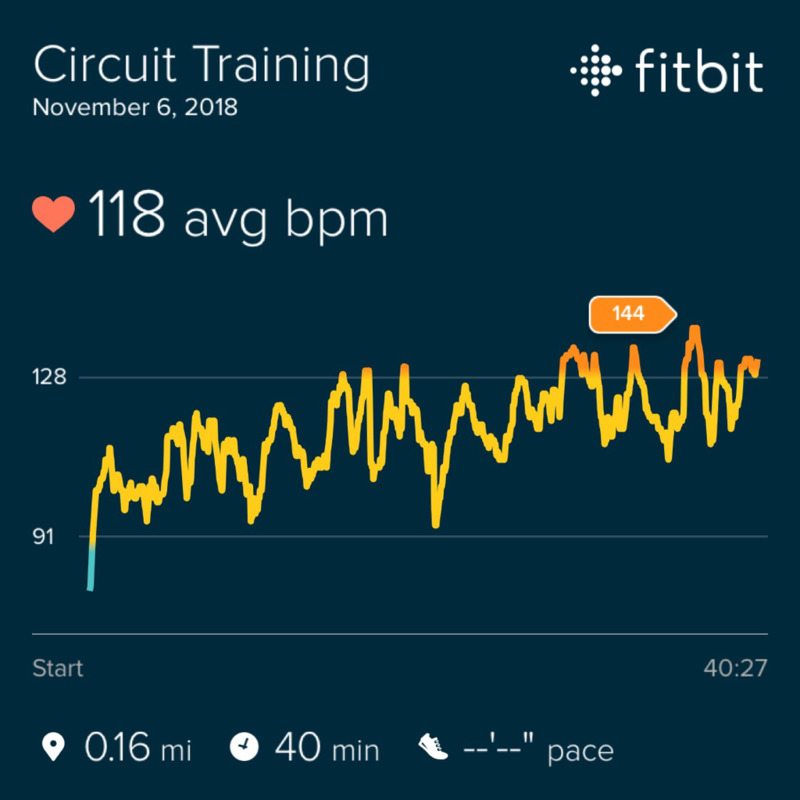 Circuit training for 50 minutes, including squats (50), lunges (50) jumping jacks (150), pushups (100), and core stuff (kegels, there I said it). 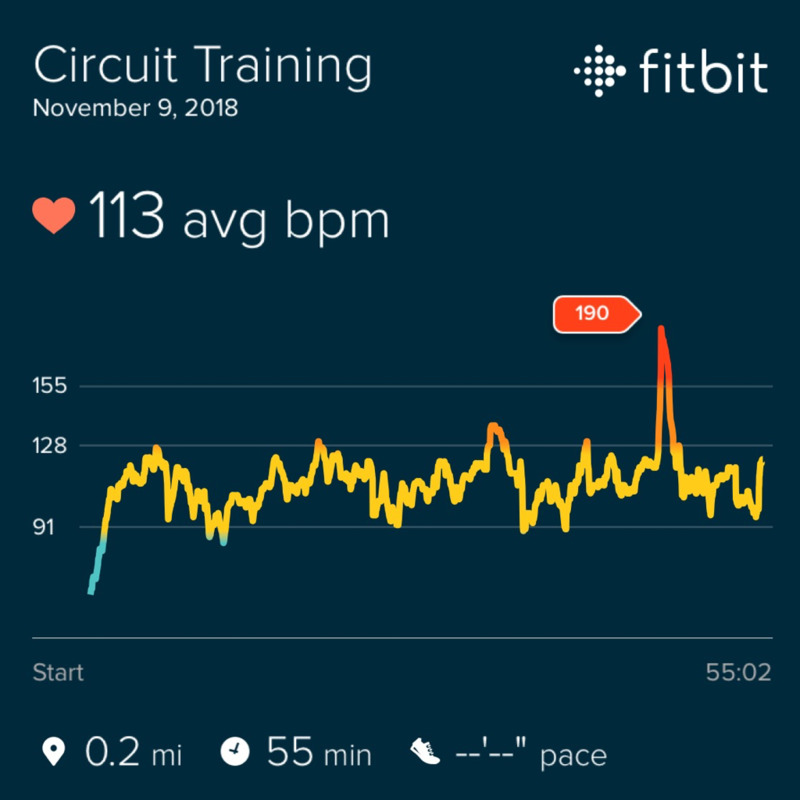 50 minutes of circuit training, including squats (40), lunges (80), jumping jacks (120), pull-ups (40), and core stuff (millions). Photos and videos of more fun, requested workouts are coming soon. 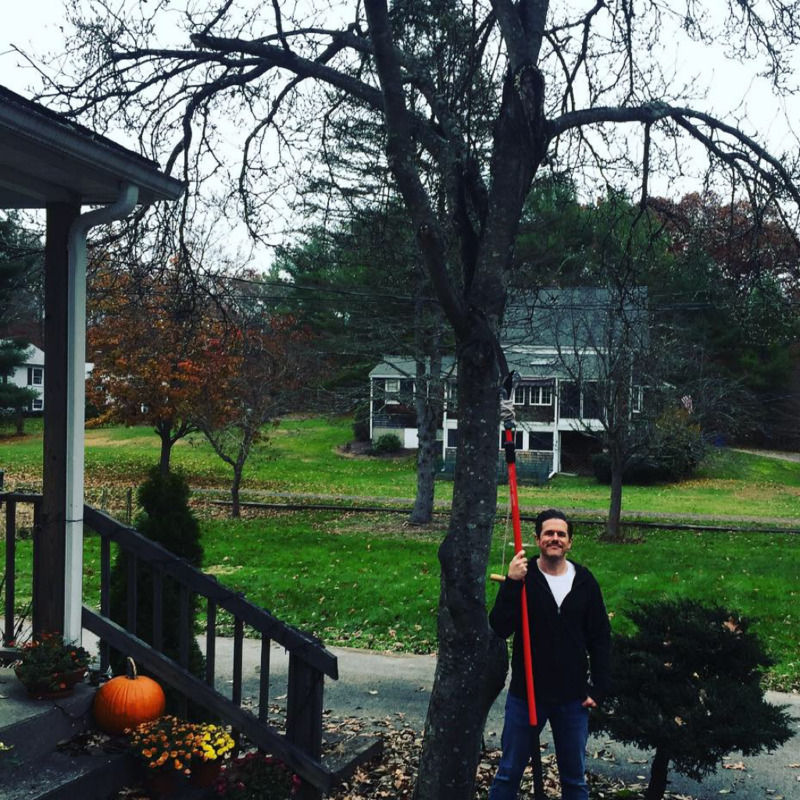 Today’s #Movember adventure: cutting branches off of the magnolia tree. This included a slight misadventure on the roof because one of the cut branches got stuck. 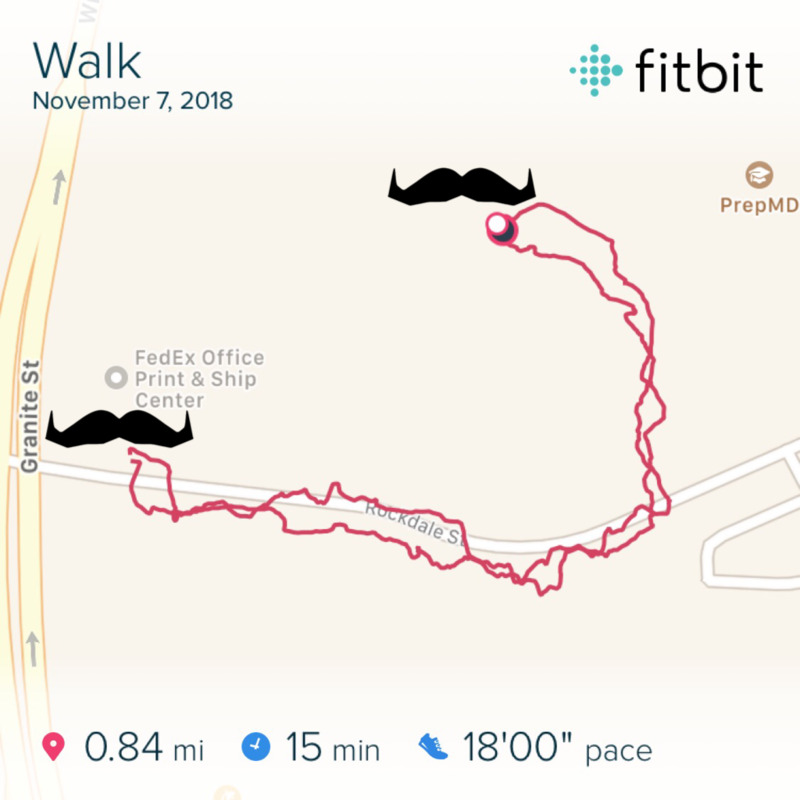 Three more miles for #Movember. 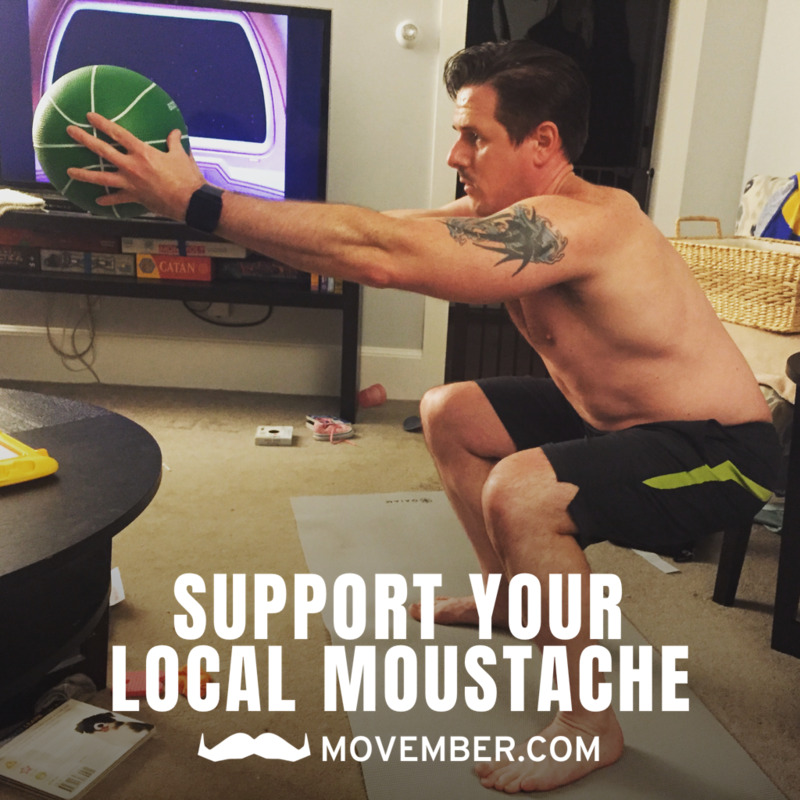 Work’s been crazy lately, so I’m fitting in my Movember MOves whenever and wherever I can. Today, I took one of my proposals for a walk to FedEx.